Well I know I said I'd be off today, but I was doing my weekly post for Davis Life Magazine (called the Early Girl Foodie Weekend) and I covered the California State Fair that opened last Wednesday. Every year they announce a new food item, usually a greasy, fried abomination. This year was no different (for example, fried scorpions are a new menu item), but I was quite intrigued by the chocolate covered bacon. I had heard of people making bacon ice cream so this seemed interesting. I made my own, veggie style, and I have to say the results were not that bad. I added some creative enhancements - freshly cracked salt, red pepper flakes, brown sugar and banana. I would have to say, remembering what bacon used to taste like, that unless you are a veggie, go with the real stuff. The fakin' bacon just doesn't have the fat and salt punch. Nevertheless, it's a fun little dessert. 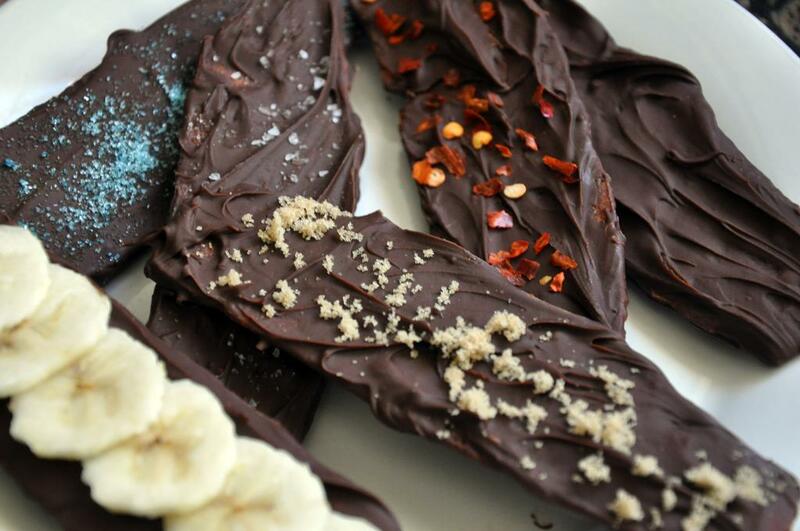 Creative toppings: brown sugar, salt, red pepper flakes, banana, coconut, chopped nuts, etc. 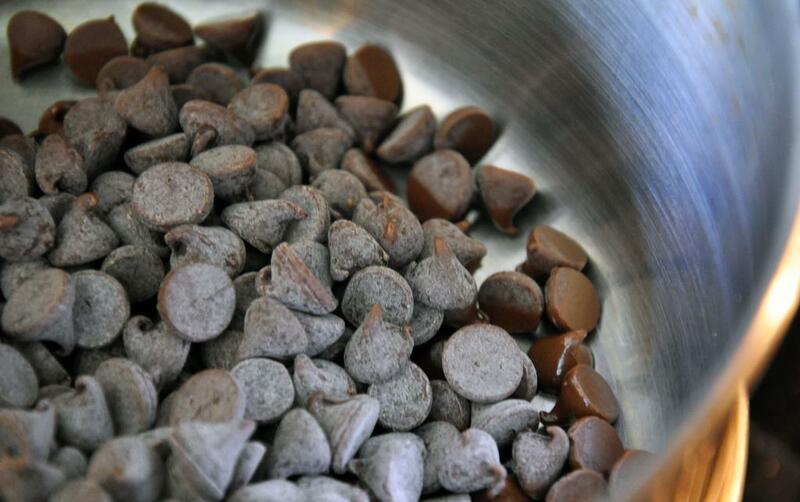 In a double boiler over medium low heat, melt chocolate chips. Meanwhile, preheat toaster oven to 450 degrees or a skillet over medium heat. Spray surface with cooking spray. 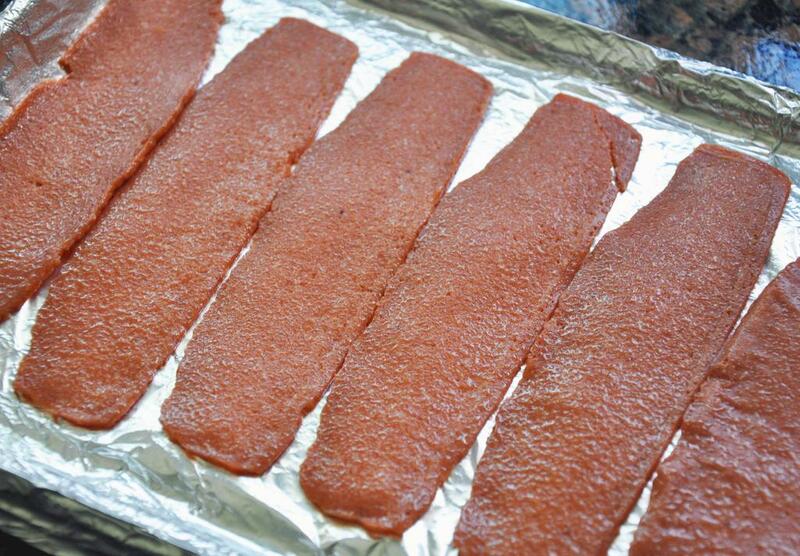 Lay 5-6 strips of bacon in a single layer and spray the tops of them with cooking spray. Cook about 3 minutes per side in the skillet and about 5 minutes per side in the toaster oven. Remove and let cool. 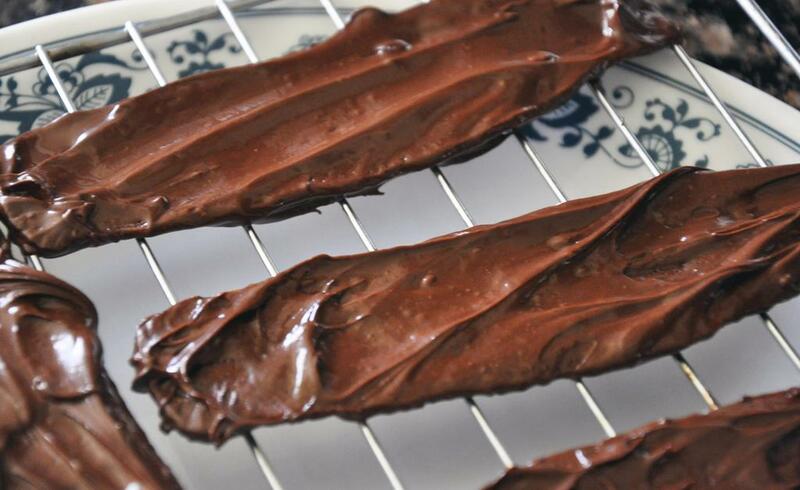 When chocolate is melted, dip bacon strips in or paint chocolate on the strips with a pastry brush. Add your creative toppings. Put strips on a cooking sprayed wire rack over a plate or on sprayed wax paper. Put in the fridge for about 10 minutes so chocolate can harden. Then enjoy! That is very interesting flavor combination! They look beautiful, though.